A glitter body spray with a lovely fragrance. This glitter spray contains a tropical coconut scent, making it not only looks great but also smells nice. With this refreshing spray you can shine a whole day, the glitters are biodegradable. 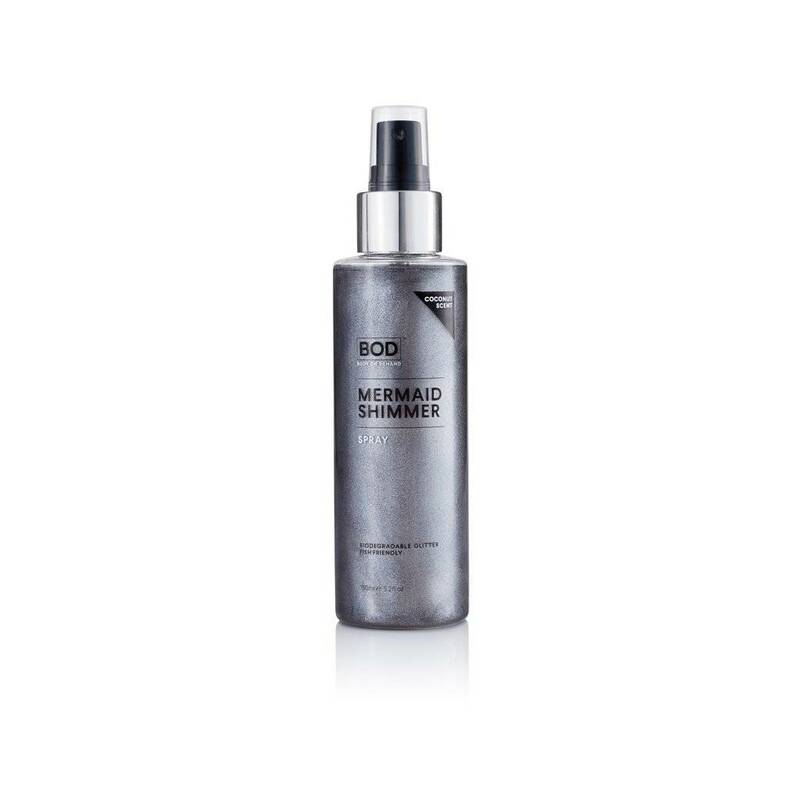 BOD Body on Demand Mermaid Shimmer Silver is a glitter body spray with a lovely fragrance. This glitter spray contains a tropical coconut scent, making it not only looks great but also smells nice. 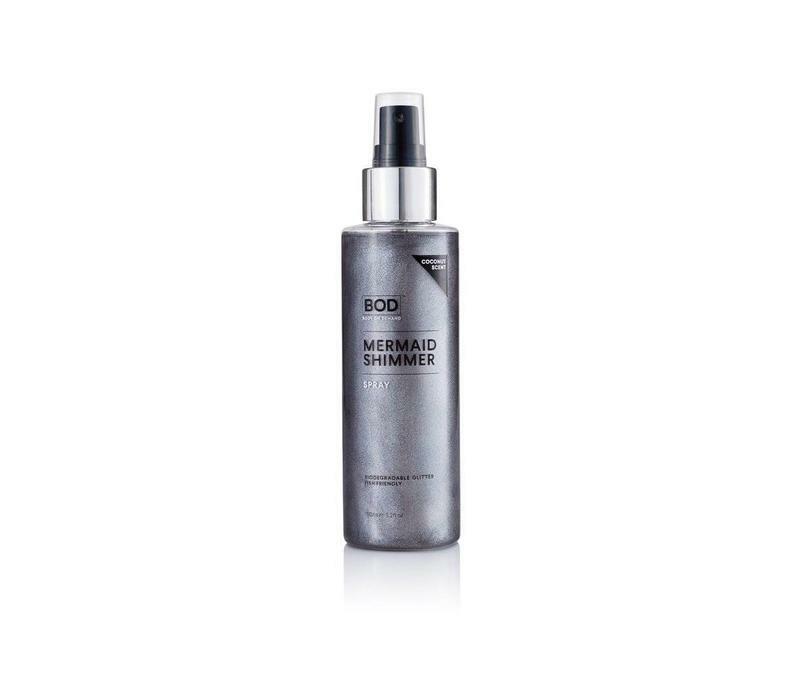 With this refreshing spray you can shine a whole day, the glitters are biodegradable. This glitter body spray is a must have for when you go to a festival or party! Contains a tropical coconut fragrance. Spray lightly on the skin from a distance. Tip! : Do not use on irritated skin. Alcohol Denat, Aqua, Lactobacillus/Aruninaria Gigantea Ferment Filtrate, Parfum, Polyacrylate Crosspolymer-6, Synthetic Fluorphlogopite, Alpha Isomethyl Ionone, Benzyl Salicylate, Hexyl Cinnamal, Titanium Dioxide (C.I 77891), Leuconostoc/Radish Root, Ferment Filtrate, Linalool, Tin Oxide (C.I 77861), Eugenol, C.I 42090 (FD & C Blue No 1), C.I 19140 (FD & C Yellow No 5), C.I 16035 (FD & C Red No 40).